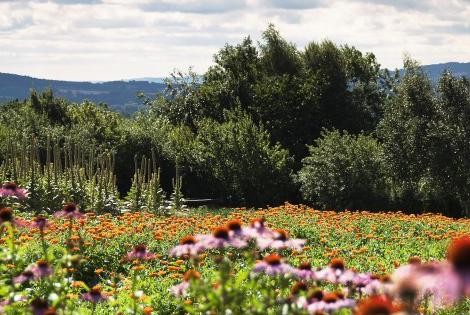 Paul Richards, founder of Herbfarmacy and long-time botanist, shares the ethics and values at the heart of this Herefordshire farm, where organic skin care ingredients are grown lovingly and at nature’s leisurely pace. The Herbfarmacy brand was born out of a humble love of botany. We appreciate the phenomenal power of plants, which is why we give every one grown on our organic, five-acre farm the time, space and conditions it needs to thrive - just as we understand that all skin types deserve a unique brand of TLC. With this understanding of the total uniqueness of each living thing, we’re able to use creative and complementary blends of natural ingredients to provide herbal relief for a broad spectrum of skin complaints and conditions. We want to give to our customers without taking from the planet - we consider this the Herbfarmacy way of life, rather than simply our brand ethos. It’s this underlying principle that influences the way every ingredient in every one of our products is grown, and every member of our incredible team is treated. Our skin care products are certified organic by the Soil Association, and this guarantees that they use organic and natural ingredients and no potentially carcinogenic preservatives such as the well-publicised parabens which lurk in many supposedly natural products. We consider it a privilege to sow and harvest each and every plant by hand to ensure the quality of what we use and maintain our status as an organic beauty brand. From the moisturising nourishment of our signature herb, marshmallow root, to the free radical fighting antioxidants found in rosehip oil, we believe in the skin care benefits of the plants we use, and are committed to going the long way around to protect our customers - rather than taking shortcuts and making savings at the expense of their health and safety. Cruelty is not a fair price to pay for beauty under any circumstances. Herbfarmacy stands strongly against animal testing and is proud to be endorsed by the Naturewatch Foundation as a truly cruelty-free company. To circumvent any need for testing our products on animals, we turn to obliging friends, family and customers - guaranteeing safe use and reliable results for the customers who invest in our organic skincare range. Find more approved, cruelty-free alternatives to everyday products in the Compassionate Shopping Guide. Green energy is at the very heart of our process, with our farm being powered only by the sun and the wind. Customer orders come in recyclable, biodegradable and sustainably sourced cardboard boxes, printed exclusively with soy-based vegetable inks - fulfilling our promise to customers of environmental consciousness, inside and out. We’ve also ceased purchase of all single-use plastics and are determinedly working to eliminate any use of such components - excited to face this challenge head-on and strengthen our ethical brand. There isn’t a business or organisation on the planet that could have succeeded without a capable and committed team at its core - and I’m profoundly aware that the devotion of the Herbfarmacy team is responsible for where we are now, and wherever we’ll go in the future. 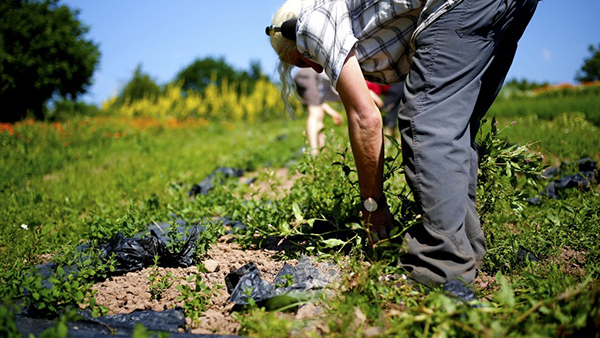 The same respect and nurture we show the environment is shown to each and every member of the Herbfarmacy family - whether they’re growing our key ingredients or helping to create and market the finished product. For us, it’s very simple: treat every living thing with respect, patience and understanding. By living and working in line with these principles, we can be proud of every last product we put the Herbfarmacy name to.